Move over, Dorothy, there’s a new gingham in town! 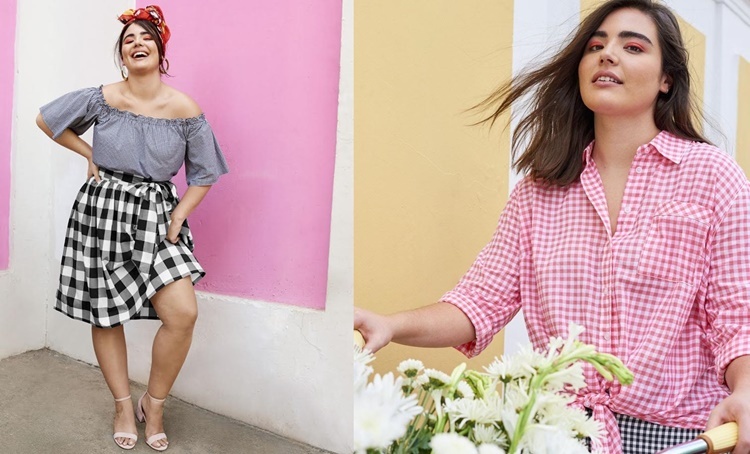 The signature crosshatched patterned has gotten a fresh new makeover, thanks to Lane Bryant’s spring offerings. I’ve always been a sucker for this picnic-ready print, but add off-the shoulder tops and twirl-worthy dresses to it, and my name is written all over it! Now that spring is finally starting to emerge, it’s time dress our curves in the retro print. Ahead I’ve rounded up 12 sweet variations of the classic pattern to fill our closets with. Check it.